iOS 12 is likely at least eight or so months from being released. Because of that, it can be hard to guess at Apple’s plans for the operating system update. 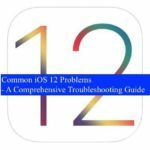 But, as always, there is a slew of capabilities and features that we’d like to see in iOS 12. 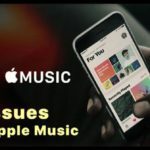 Additionally, the Apple blogosphere recently got some information on some features that are planned for the OS, and other features that are being delayed until a future update. It will definitely be interesting to see how Apple can get away without refreshing iOS 12 and still introducing a whole new line of iPhone models in 2018. As stated above, iOS 12 is a ways off. But we recently got a glimpse at Apple’s plans for the operating system thanks to two separate reports by Bloomberg and Axios. 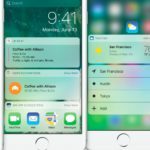 The reports confirmed that the Cupertino tech giant is planning on adding these features to iOS 12 in the fall. Last December, sources familiar with Apple’s plans gave word that the company will add cross-platform application support in 2018. Basically, Apple is planning on releasing a developer toolset that will allow app developers to create apps that will work across iOS and macOS devices. In other words, the toolset will allow for the creation of a single app that can work on iPhone, iPad and Mac devices. And in the recent Bloomberg and Axios reports, we got further confirmation that this is a feature that’s on schedule for a release this year — likely in iOS 12. Apple is consistently upgrading and improving its iOS platform. Normally, that means bug fixes and performance improvements. But occasionally, it can also mean additional user-facing features and user interface tweaks — anything from new app icons to additional capabilities in Apple’s apps. On the docket for iOS 12, for example, is a handful of minor tweaks to Apple’s first-party apps. While those tweaks might encompass a wider range of apps, reports indicate that Apple will make changes to the Health app, iOS’s parental controls, and its new ARKit development toolset. In another parallel universe, this would likely be the most important thing we’d like to see in iOS 12. 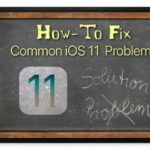 If you can recall, the launch of iOS 11 was beset by security vulnerabilities, several fairly significant issues, and just general bugginess. 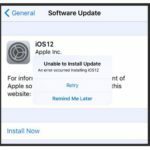 Thankfully, Apple is delaying some iOS 12 to specifically on quality improvements. Presumably, that means ironing out any bugs — both major and minor — before it’s released to the public (we would hope, at least). 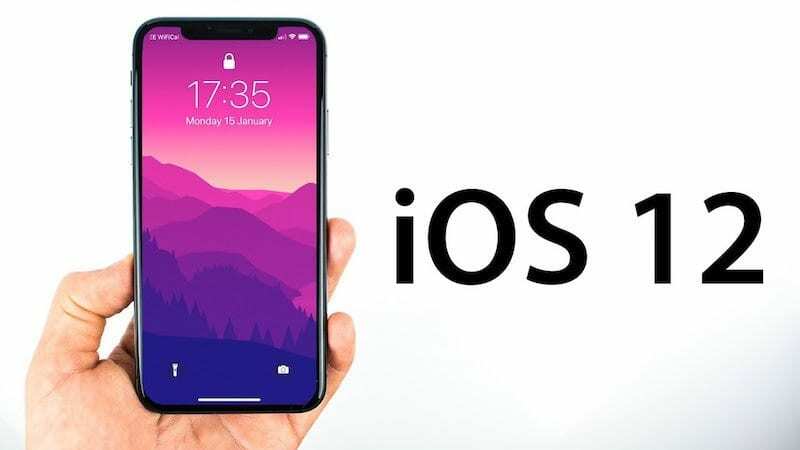 In addition to the likely-to-be-included features for iOS 12, the Bloomberg and Axios reports claimed that Apple is delaying certain features originally planned for iOS 12. On the bright side, as we mentioned before, Apple will take this opportunity to work on quality and stability improvements. But still, these are features that we likely won’t see in iOS 12. Or, at the very least, we won’t see them in the initial release in the fall. A UI refresh of the Home screen, including a redesign of the screen’s app grid. A UI refresh for Apple’s CarPlay system. 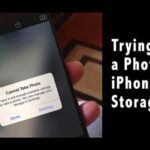 A handful of updates to Photos, including how the app handles capturing, editing, and sharing images. A multiplayer mode for ARKit games. Of course, Apple could still implement these features in an “iOS 12.X” release. So just because they won’t be included at launch, it doesn’t mean we’ll have to wait until iOS 13 to see them. 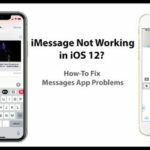 Of course, the likely and delayed features will probably only encompass a small portion of the updates that iOS 12 will bring. When it comes to the rest, this is our wishlist starting with Better Notifications! iOS is not Android, and arguably, that’s probably one of its biggest boons as an operating system. Among smartphones, Apple’s OS is one-of-a-kind. Having said that, there are certain areas in which Android seems to handle things a bit more efficiently. The notifications system is one of these areas. The way they work now is sporadic, unorganized, and somewhat annoying. Even doing something as simple as grouping or “stacking” notifications from a single app together under one alert could do wonders for the iOS experience. iPhones have some of the best smartphone cameras on the market. But while the native Camera app is simple and easy to use, it also lacks some refined controls. Certain features like the photo grid toggle and video resolution are buried within Settings. Third-party camera apps also sport more professional-level controls like white balance, shutter speed, ISO and exposure. At the very least, it’d be nice to be able to control some of these features without having to exit out of Camera and go into Settings. Apple is known for its commitment to privacy, so the ability to lock native applications seems like it’d be a no-brainer for the company to implement. Sure, your iPhone is already protected by Touch ID or Face ID. But, in certain cases, iOS could do with another level of security. Adding a “Lock App” toggle within Settings could fix this. Users who tap on a locked app would, presumably, be able to unlock it by authenticating with Touch ID, Face ID, or their passcode. A systemwide dark mode has been on the iOS user wish list for quite some time, and it’s commonly one of the most requested features. 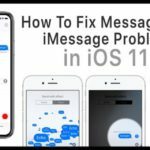 iOS 11 does have Smart Invert, an accessibility feature that can mimic a “dark mode,” somewhat. 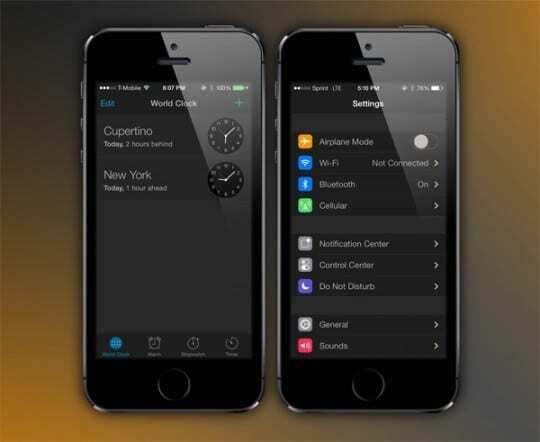 But iOS could with an actual dark mode with easier-to-access controls — such as a simple toggle in the Control Center. Since a dark mode is obviously easier on the eyes at night, Apple could also add a “Smart Dark Mode” that uses the iPhone’s built-in light sensors to toggle dark mode on at night and off during the day. A simple time toggle could work, too. In the absense of a true dark mode, we have been using the various iOS 11 options to drive to a dark mode. Split view is one of those features that seems better suited for the large display of an iPad, rather than the comparatively smaller screens of iPhones. But consider how iPhone displays are getting bigger. The Plus-models iPhones and the iPhone X all sport massive displays, and there’s rumors of an “iPhone X Plus” device that could come equipped with a massive 6.5-inch screen. All things considered, implementing split view multitasking for iPhones seems like a simple and increasingly relevant addition. The volume hud in iOS has always been rather large and obtrusive. That’s part of iOS’s quirks, but many want it changed. Apple already took a step in this direction in iOS 11, when it implemented a new, out-of-the-way design for the volume indicator when playing videos. But, for iOS 12, many iPhone users want to see that redesign applied to the volume hud across the system. FaceTime is a great feature of iOS, but Apple has done little to update it since its debut. There are already quite a few video chatting apps that support group conversations. But having a feature baked into the native FaceTime app would be incredibly convenient — particularly if it had Siri support. We understand that there might be a patent-licensing situation to blame for Group FaceTime’s absence, but a company as large as Apple could hopefully overcome it. Before iOS 11, the Control Center had a limited set of capabilities. The latest Apple mobile OS changed that, but there’s always more room to improve. For example, a Control Center with a greater degree of customization would be nice. Plus, opening up the feature to third-party development could open the floodgates for some cool and innovative functionality. What are some of the features that you would like to see in the next generation iOS 12? Consistency across device when it comes to user GUI. Even if iPad has a Touch ID, why not allow IPhone X swipe gestures to “standardize” functions. Excellent suggestion! Yes, creating the same user experience across devices should be highest on Apple’s list for all future iOS improvements! Agreed! That would be nice! Great suggestion.